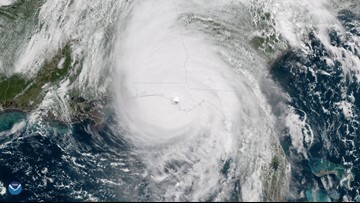 Hurricanes help to keep Earth's heat in check, and scientists say it's possible to have even more of them in a warmer world. 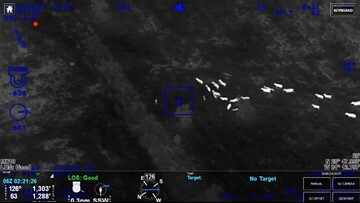 A person suspected of stealing a car thought they could milk the situation by running through a cow field to escape police. 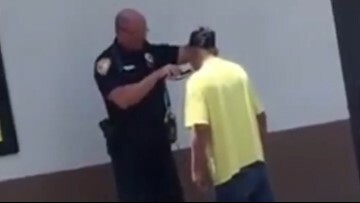 The officer heard that the man couldn't get a job at McDonald's unless he shaved his beard, so the officer got some clippers and helped him clean up. 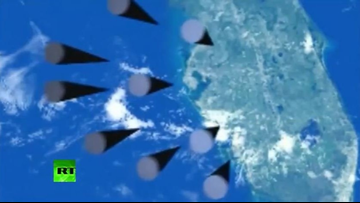 That Russian weapons video showing Florida getting nuked? 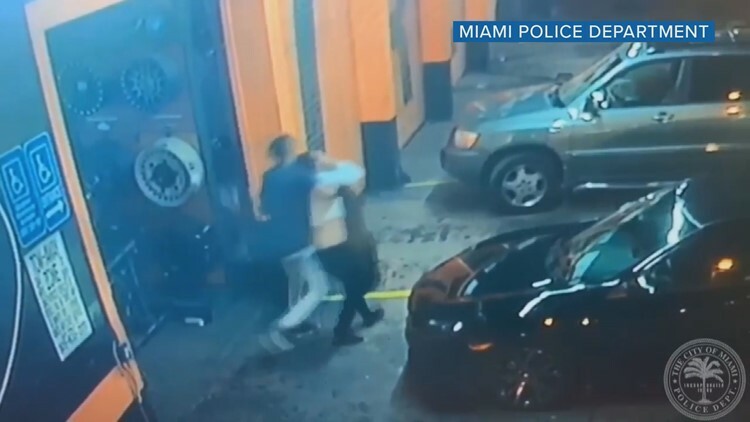 No way it was Florida, Putin said. 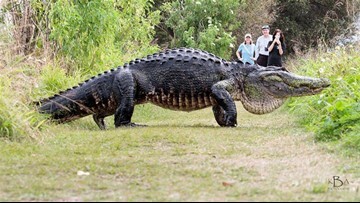 Kim Joiner recorded a video of the large and captivating reptile on a Facebook post which has since been shared over 7,000 times, with over 1,000 reactions. 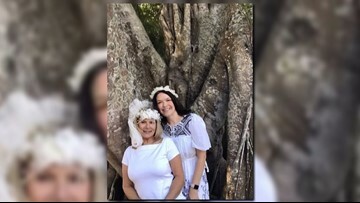 The video was captured at Circle B Bar Reserve in Lakeland. A Daytona Beach roller coaster passed an inspection. 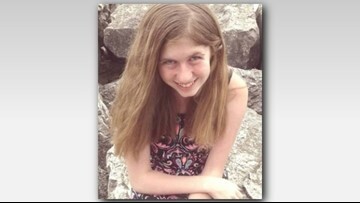 Then, it derailed and two riders fell 34 feet. 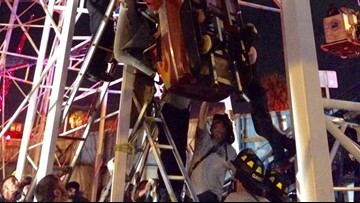 A total of 10 people were rescued from the roller coaster. 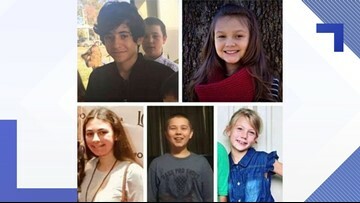 Six of them were taken to the hospital. 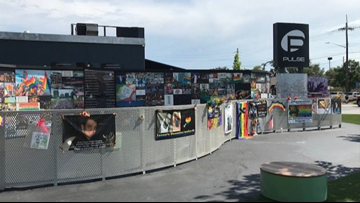 Tuesday marks two years since a gunman took 49 lives and injured another 68 at Pulse Nightclub. For 31 days during the summer of 2016 employees of the Orange County Regional History Center collected and cataloged nearly 6,000 items left at various memorials. 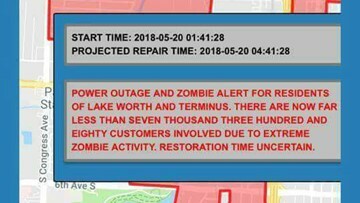 The alert warned that more than 7,000 Lake Worth customers lost power "due to extreme zombie activity." 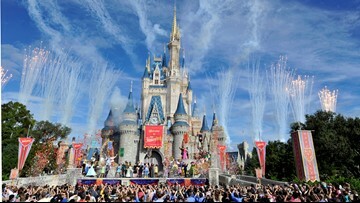 Disney employees will be available to answer questions, assist with the application process and conduct interviews on the spot. 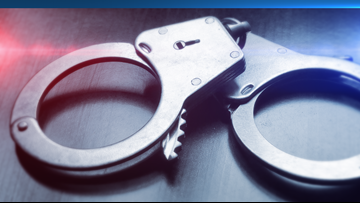 While he was performing an aerial straps number, long-time aerialist Yann Arnaud fell onto the stage, a Cirque Du Soleil representative said in a statement. The manager for the Florida Gun Show, George Fernandez, says they've never seen such a big crowd.